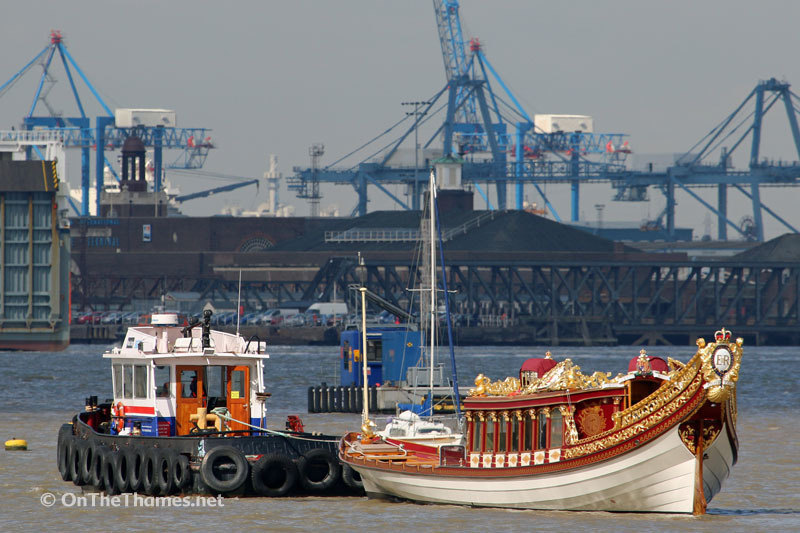 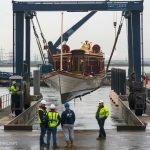 THE QUEEN's row barge Gloriana has re-entered the Thames after her period of winter storage at the Port of London Authority's facility at Denton Wharf, Gravesend. 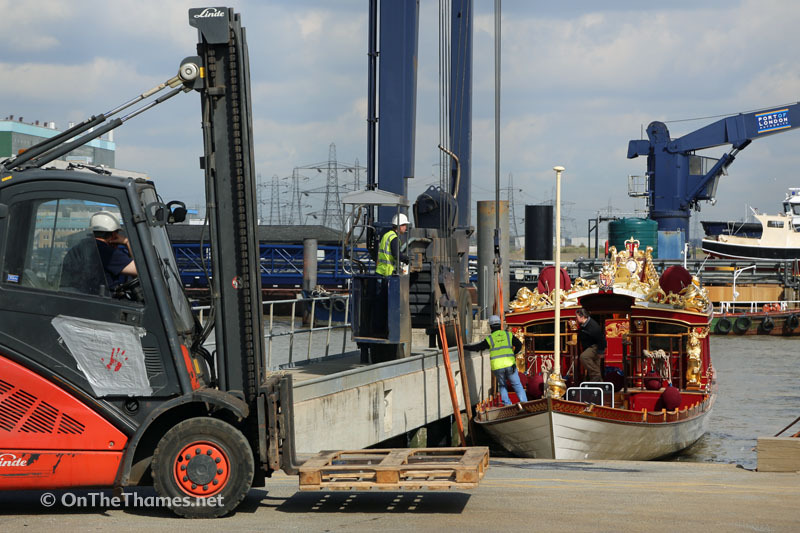 She was lowered in to the Thames by the PLA's 70-tonne capacity boat-lift shortly before midday and then towed up river to St Katharine Docks by the CPBS-owned tug, Mad Dog. 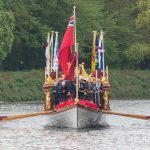 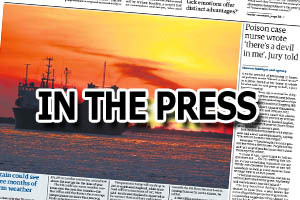 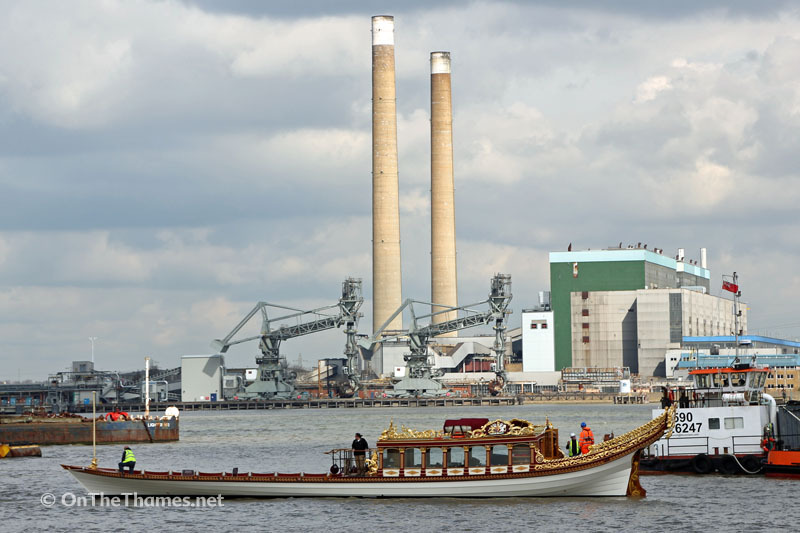 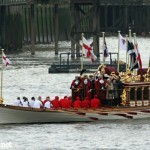 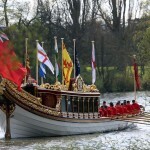 The beautiful 29-metre-long vessel will be readied for another busy programme of appearances up and down the Thames this year which will begin with the historic Tudor Pull from Hampton Court Palace to the Tower of London on April 17th. 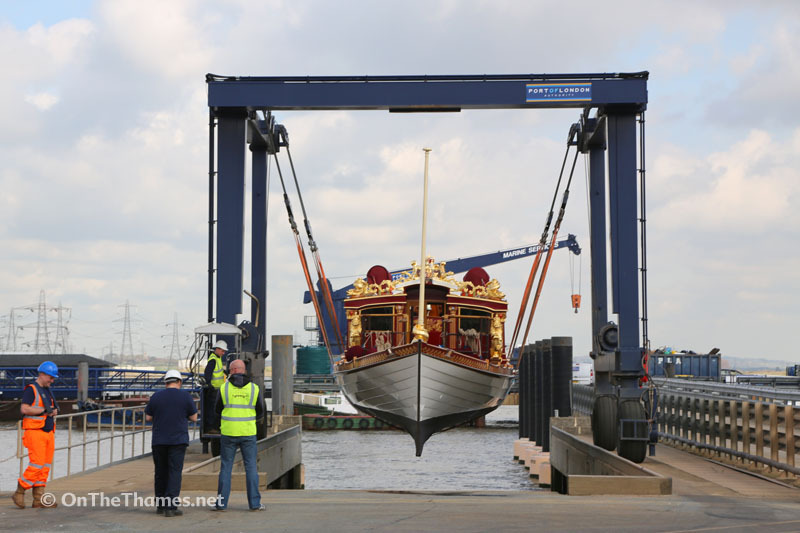 Gloriana, commissioned for the Queen's Diamond Jubilee Pageant in 2012, has been a regular visitor to Gravesend for winter storage since she was built.